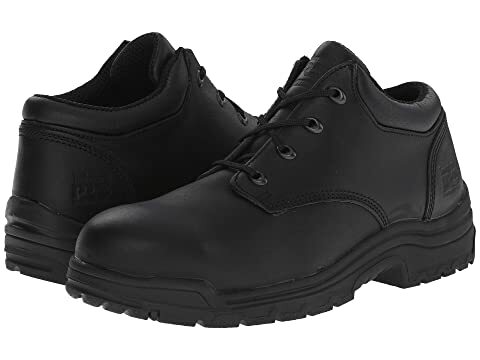 The TiTAN® Oxford Alloy Safety Toe Low work shoe from Timberland PRO® has a relaxed style but packs a protective punch that will keep you comfortable and safe all day long. 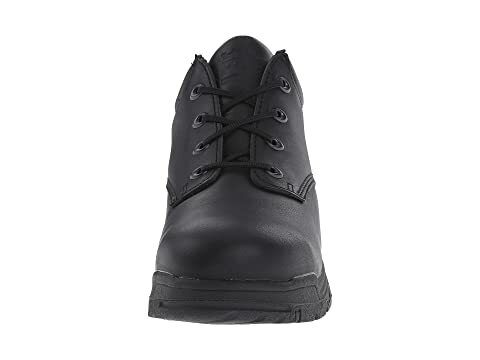 Lace-up system with durable eyelets for a secure fit. 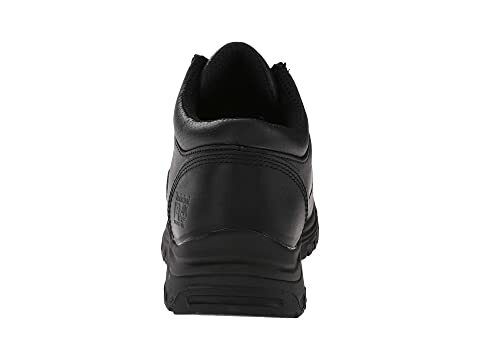 Moisture-channeling spacer mesh comfort lining with antimicrobial treatment keeps foot dry and comfortable. 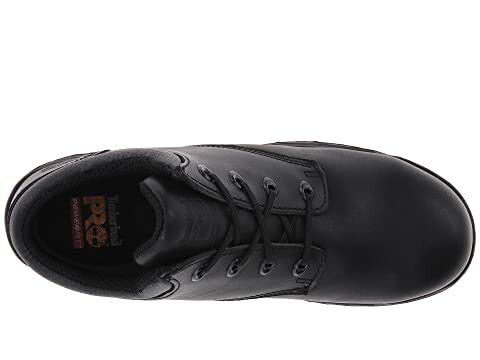 Contoured open-cell polyurethane footbed with Outlast® Adaptive Comfort® technology for breathable comfort and drier feet. Lightweight, durable PU midsole provides excellent underfoot cushioning and shock absorption. 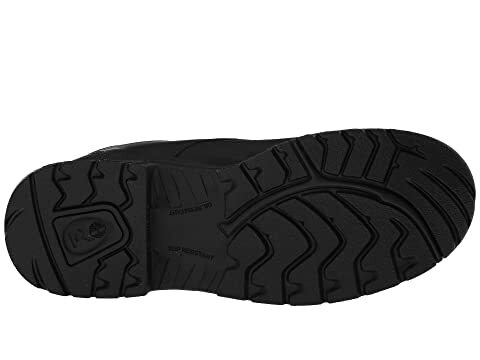 Durable rubber outsole is slip, oil, and abrasion resistant and unbeatably comfortable. 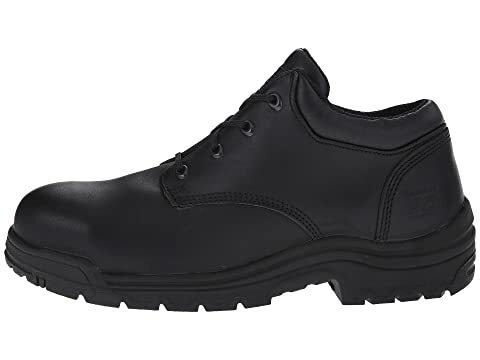 Lightweight, asymmetrical-shaped TiTAN® alloy safety meets I/75 and C/75 impact and compression ASTM F2412-11 and ASTM F2413-11 safety standards.